Why Aren’t More Nonprofits Weighing In on Obamacare Repeal and Replace? Before we go into the next steps on the Obamacare “repeal and replace” bill from the Senate, we want to point out that disability advocates were the only obvious protestors on Capitol Hill yesterday despite the heinous potential effects of the legislation on millions of vulnerable people. 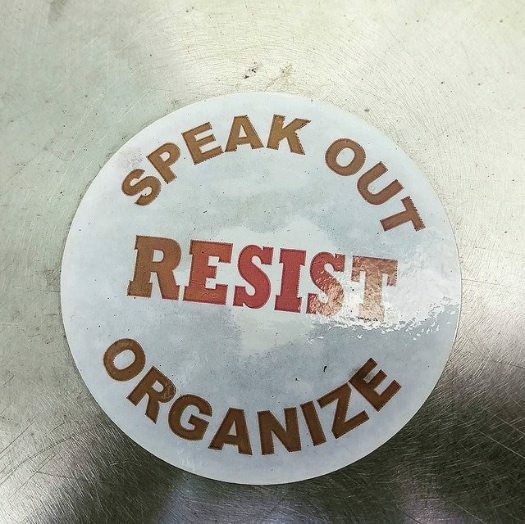 It strikes us that the arcane, multi-phase process and the uncertainty of the outcome in contrast to the quick shock of a flatfooted presidential decree may have slowed the “resistance.” Nonprofit organizations with healthcare missions, as well as nonprofits concerned about social justice, have a limited but intense opportunity to make their voices heard. In companion pieces published today, NPQ discussed the key elements and reactions to the Senate GOP’s version of the House-passed American Health Care Act (AHCA). For those interested in the technical details of legislative process on Capitol Hill as they affect the potential repeal, replacement, or modification of the Affordable Care Act (ACA), we explore the next steps in the saga. Both the House’s AHCA and the Senate’s “Better Choice Reconciliation Act of 2017” (BCRA) are intended to be components of a much larger process called budget reconciliation. One budget reconciliation bill is passed annually, including any number of government revenue and expense provisions intended to reconcile provisions and estimates included in other legislation passed during the year. The votes on the AHCA and the BCRA are votes on whether the bills’ language should be included in the annual budget reconciliation act. Putting some version of the AHCA or the BCRA into budget reconciliation is important because it makes the bill filibuster-proof in the Senate. Why? Under Senate rules, budget reconciliation bills are an exception to the rule that 60 votes are required to end debate on legislation and allow for an up-or-down vote. The explanation for this lies in the theory that budget reconciliation is a technical and financial process rather than a policy-setting process. Of course, a budget is the monetary expression of an individual’s or organization’s values and priorities, so the reconciliation process definitely affects policy. Budget reconciliation was used by Democrats to pass the key financial elements of the ACA by a single vote (and no GOP support) in 2010, and it’s now being used in an attempt to repeal or replace key provisions of that law with no anticipated Democratic support. The BCRA will be moved to the Senate floor for an estimated 20 hours of debate and final vote as soon as next week. By then, the nonpartisan Congressional Budget Office (CBO) will have performed its evaluation of the bill and “scored” the budgetary and other effects of the bill, should it ultimately become law. The bill will be open to a large number of amendments, and the spectacle of “vote-a-rama” will grip Senate-watchers “until a state of exhaustion sets in” for senators, according to one official quoted by ABC. Many estimates of the number of amendments range from 50 to 100 (though one activist advocates for 40,000 amendments), which would delay a final Senate vote on the BCRA (or anything else, for that matter) until after the 2018 elections. The final amendment in budget reconciliation is called a “wraparound amendment” and is the exclusive prerogative of the Senate Majority Leader, Mitch McConnell (R-KY). This amendment gives McConnell great power and discretion to craft the final version of the bill being voted on. It also gives him the opportunity to use the amendment to reward or punish specific senators and their interests. This means that McConnell will be beset by his colleagues, lobbyists, and interest groups potentially affected by the bill to include their favored changes in the legislation. To pass, the bill still requires a minimum of 50 senators voting in the affirmative, plus Vice President Mike Pence waiting in the wings to cast the deciding vote breaking a 50-50 tie. As NPQ notes in a newswire today, the “whip count” of how a vote would turn out is very dicey at present. Four of 52 GOP senators have announced they are not ready to vote for the bill, and two Democratic senators have said they are willing to participate in the amendment process in a constructive (as opposed to obstructionist) way. Even if the BCRA passes the Senate, its toughest tests are ahead of it. Since there are differences between the House-passed AHCA and the Senate’s BCRA, those differences would have to be negotiated in a conference committee of House and Senate members. Assuming a compromise is reached, that compromise would need to be passed by both the House and the Senate – a daunting task considering the delicate balancing done already to keep GOP conservatives and moderates on board with either (but not both) of the two versions so far. President Trump has not yet signaled support or opposition to the BCRA. On Tuesday, he referred to the ACHA as “mean” and said the Senate should make the health care legislation “generous, kind, (and) with heart.” Typically, legislators and presidents often withhold their support or opposition while legislation is still being drafted and amended. This keeps them from being surprised by amendments they oppose to bills they support (or vice versa). It also allows them to choose the time when their support or opposition has the most impact and be most advantageous to their political interests. While it is expected that Trump will support any “repeal and replace” legislation, the possibility exists that the Senate GOP will fail to get the required 50 votes for passage. If passage appears unlikely, Trump may withhold support and blame Congress for its failure rather than share in that Republican failure. Some pundits believe that McConnell is engineering the process in such a way that the ACA repeal-and-replace effort will ultimately fail in such a way as to leave Senate Republicans with the lesser share of the blame. This school of thought relies on the belief that the BCRA will be influenced by Senate GOP moderates to a point where its key provisions are rejected by House conservatives whose extremism could them be blamed for much of the failure. The bill is estimated to reduce federal spending by more than $1 trillion, reduce revenues by $701 billion, and reduce the number of people with health insurance by 22 million.